Kbal Chhay waterfall is located in Khan Prey Nup, about 16 kilometers north of the downtown Sihanouk Ville. The water at Kbal Chhay comes from many sources along the mountain range, although only three of these sources are visible. The waterfall, which is 14 meters high, is at the point where those three sources joint. These falls can be best viewed during the rainy season in Sihanouk Ville which occurs between June to October. 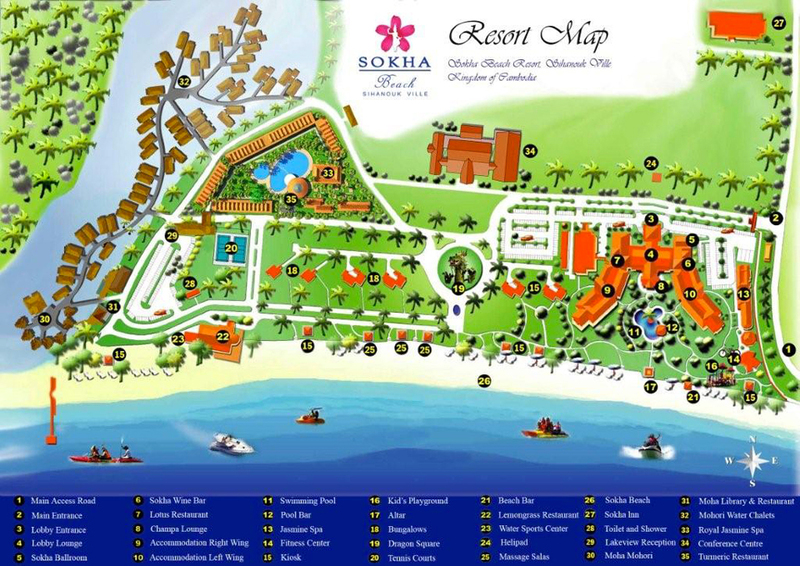 It takes about 30 minutes to reach from Sokha Beach Resort. Ream National Park is 18 kilometers from Sihanouk Ville downtown, offers a unique experience for visitors interested in exploring Cambodia’s natural and cultural environment. Its 21,000 hectares provide excellent examples of Cambodia’s rich and diverse costal environment from evergreen forest with a wide variety of wild animals to beautiful waterfalls. It is an enjoyable experience to spend your half day trekking tour to witness the mammals and amazing view of Ream Park. Most recent booking for this resort: less than 19 hours ago from Germany. Don’t miss your chance to stay at Sokha Beach Resort!